On Saturday, 6 April 2019, Australia's newest pop-up mini golf experience, Pixar Putt, will land in Sydney, with tickets now on sale. Inspired by the beloved stories, characters and icons from some of Disney-Pixar's most iconic films including Toy Story, A Bug's Life, Finding Nemo, The Incredibles, Ratatouille, Wall-E, Inside Out and Coco, Pixar Putt is anticipated to take guests to infinity… and beyond! Pixar Putt will be located at the ICC Forecourt next to Harbourside, Darling Harbour, where guests can choose between playing 9-holes for a bit of fun or just keep putting on the 18-hole course. The newest must-do attraction on Sydney's events calendar, tickets can now be purchased via the link below. 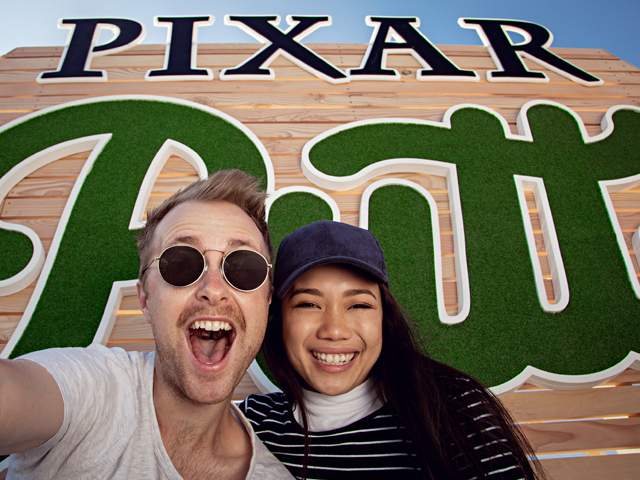 Get your friends and family ready to kick some serious putt when Pixar Putt tees off in Sydney from Saturday, 6 April until Friday, 19 April. Due to high demand, guests are strongly encouraged to book in-advance to secure their preferred tee-off time.